This page is dedicated to CANADIAN bred Schipperkes who have had a major impact on the breed in Canada and the Schipperkes whose show wins have brought the breed to the public eye. 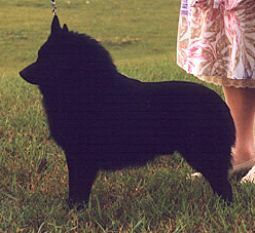 Lucifer bred and owned by Marj Kuyt of Roetmop Schipperkes. Roetmop was one of the most famous kennels in Canada and most breeders started with Roetmop stock. 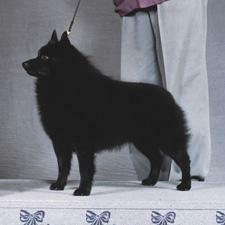 Sonny was bred/owned and shown by Camplaren Schipperkes - Jack and Joyce Bernhardt. 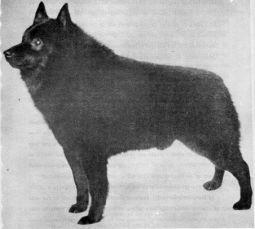 Sonny was a Lucifer grandson and his parents were Am Ch Skipalong's Bonnie Bouncer and Am/Can Ch Roetmop Pretty Princess CD. Sonny won not just the Canadian National Specialty but an American National also. 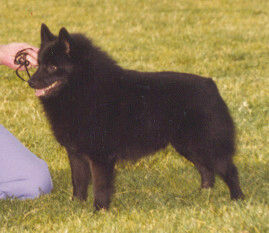 Sonny was multi BIS winning Schipperke and competed in Canadas Show of Shows where he won the group twice. Elio was a Lucifer great grandson and Elio's grandmother was Lucifers littermate Leah. Nifty was the great great grandson of Diablo and of Elio. Nifty's pedigree goes back to some of the top winning American lines through Camplaren. He was a group winner, #2 Schip in Canada in 1994, multi group placer 3 years in a row, an excellent obedience dog and the sire of 4 champions in only 2 litters. He was Best Stud dog at the 1993 Specialty. 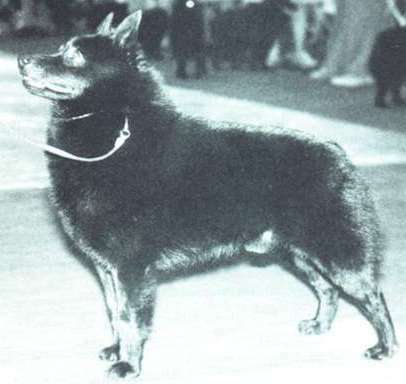 Nifty was the foundation sire of Majekin Schipperkes leaving a great impact on the bloodlines. 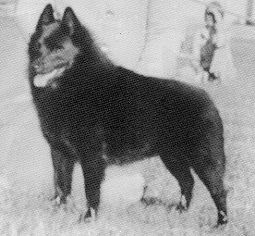 He was also the great grandsire of the All Time Top winning Schipperke in Canada - Am/Can Ch Maheekin I'll Put A Spell On U.
Am/Can Intl Ch Maheekun I'LL Put A Spell On U - Sly. Sly won Best of Breed at the World Dog Show in 2002. Owned by Sandra and Jessica Erickson.